Four students from California Baptist University’s aviation flight program received conditional job offers within the last few months from growing airplane company, ExpressJet Airlines. Kyle LeVesque, senior aviation flight major, said the Pathway Program is ExpressJet Airlines’ method of giving aviation students at CBU a guaranteed interview opportunity. 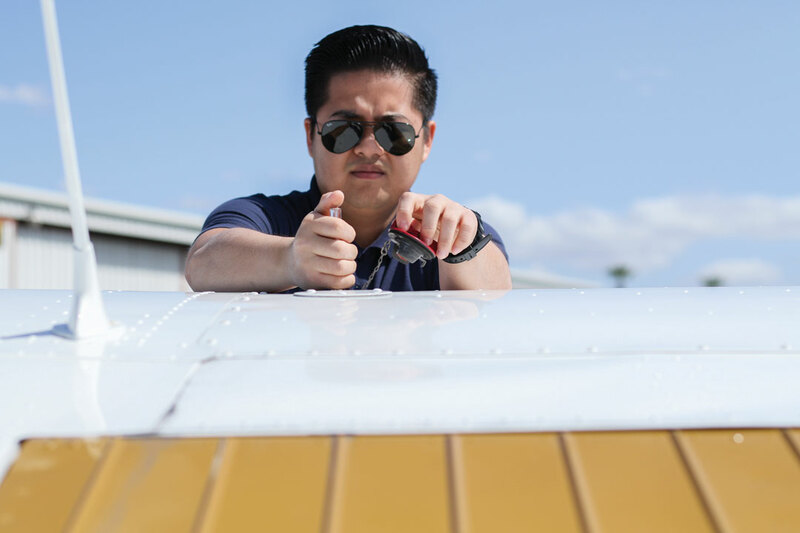 “You have to fulfill specific requirements through a three-step interview process, maintain your GPA, get all your training done, work as a flight instructor and get the minimum hour requirement to apply for a job in the industry,” he said. All four students passed ExpressJet’s sample test, written knowledge exam, technical interview and human resource interview, leading them to conditional job offers. The offer is conditional because each student must first complete all of his or her training before the offer can be sanctioned. “Most likely, if you get the offer, you are going to stay committed and dedicated because you want to do well,” LeVesque said. The other students expressed their anticipation and relief over the offers. “I am very excited and relieved to have a job waiting for me after college,” said Hannah Guajardo, junior aviation flight major. Amanda Snodgrass, junior aviation flight major, said the offers are a measure of the aviation flight program’s success. Howard Dang, junior aviation flight major, said he has been in love with aircrafts since he was a little child.